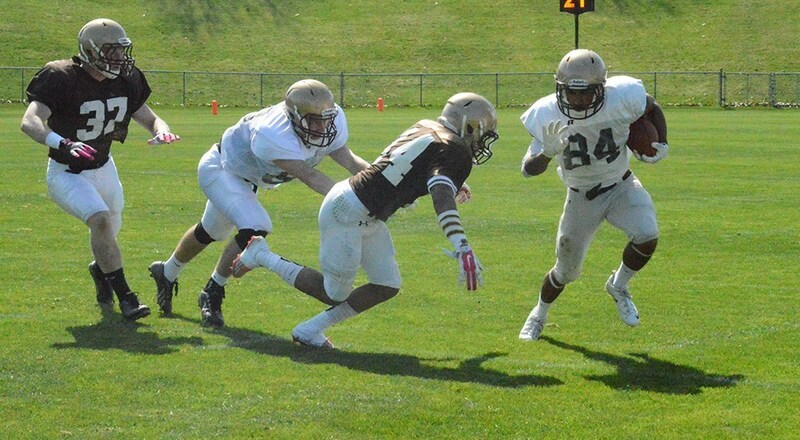 You might have thought that Lehigh’s Brown defense, fresh off a strong performance in the spring game, might have let themselves let up a little once it was deemed that the morning practice was complete. 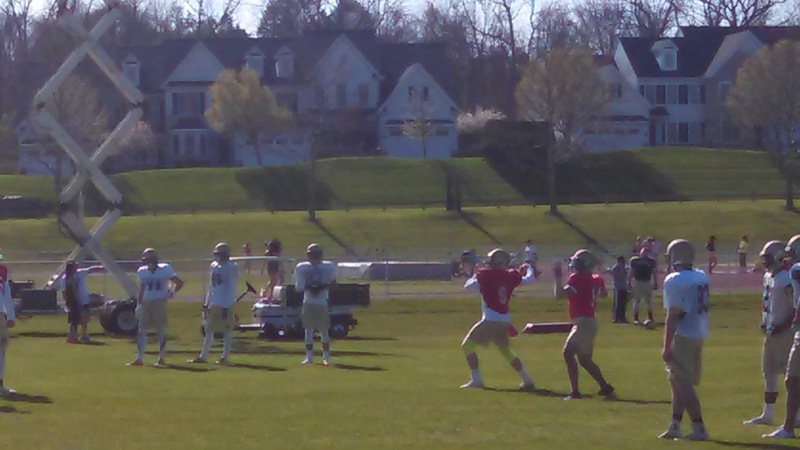 Instead, in front of a swarm of fans who watched Saturday’s scrimmage on a picture-perfect April day at Murray Goodman stadium, the defense were doing running drills. As junior DE Tyler Cavenas explained, this was no accident. We didn’t see much of the starting quarterback for 2015 on Saturday. Junior QB Nick Shafnisky came in for one play – a hold on an extra point attempt, booted by the punter, senior P/PK Austin Devine. 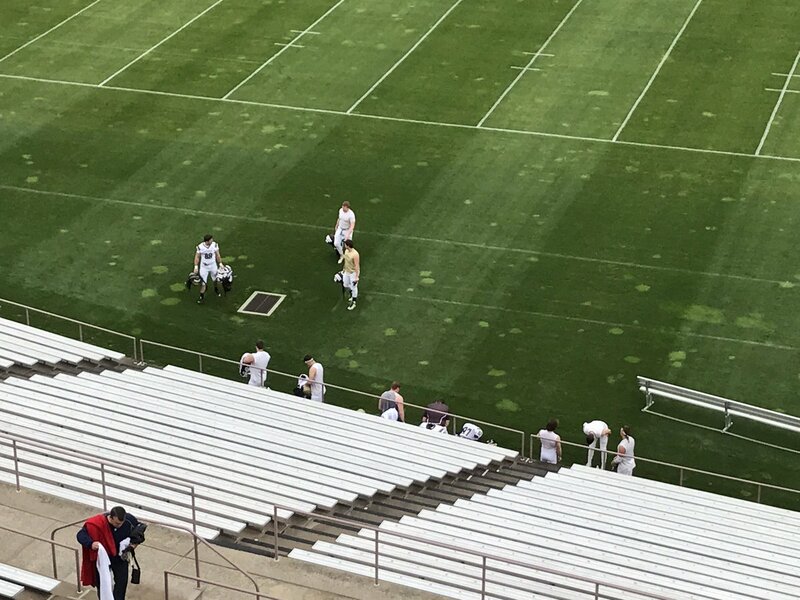 We didn’t see much of the kicking game – Devine, who didn’t kick conversions last year, is likely in August to revert to full-time punting duties, with an incoming freshman having a golden opportunity to win the starting kicking job. We saw a little bit of offensive line play – but it’s hard to judge how well this unit will represent the same group in the fall, only because the unit was racked by injury. 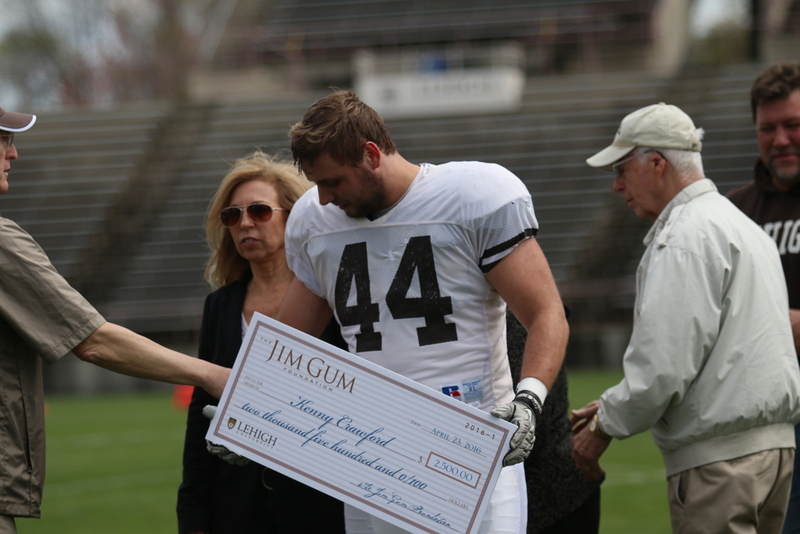 So what did we learn, exactly, from Saturday’s Brown and White game? The answer is: more than you might imagine.